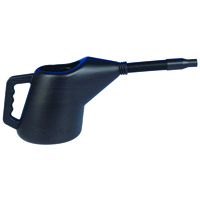 It’s such a simple item, but without a measuring jug, it can be incredibly difficult to keep your engine neatly topped up with all the fluids it needs. Take a look at our range below here at Euro Car Parts. As you well know, an engine needs a lot of fluids to keep it running smoothly. From topping up the oil tank, the windscreen washer fluid, brake fluid or the radiator, a large part of good car maintenance is just making sure that your car has all that it needs to keep going. Pouring direct from the bottle can be messy - which in turn is both wasteful, and potentially damaging to your engine. But, this issue is an incredibly easy one to solve. 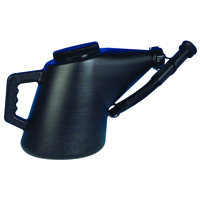 Opt to use a measuring jug, and your fluid application can be as precise as you need it to be. Here at Euro Car Parts, you’ll find jugs of varying volumes and materials at a value-for-money pricepoint. What’s more, order today and you’ll benefit from free UK delivery - no matter how big or small your order is. If you need your measuring jug as a matter of urgency, don’t panic. With our option to click and collect, you could pick your order up the very same day from one of over 200 branches across the UK. Happy pouring!